The response to the question hinges upon a couple of fundamental distinctions. One distinction is between a battle and a war – the former involves the outcome of an immediate military conflict, while the latter involves the achievement of the larger purpose for which the conflict occurred in the first place. Another distinction is between the short- and long-term impact of a war – the effects that are felt within a relatively short period of the end of the military engagement, and those that are played out over a much longer period following that engagement. Yazid clearly won the battle in Karbala. His forces killed Imam Husain (a) along with his relatives and companions and desecrated their bodies in the most cruel of martyrdoms. They imprisoned Imam Husain’s family of women and children and paraded them through the courts of his governor in Kufa and his capital of Damascus in the most humiliating of circumstances. But did he win the war in the short- and/or the long-term? 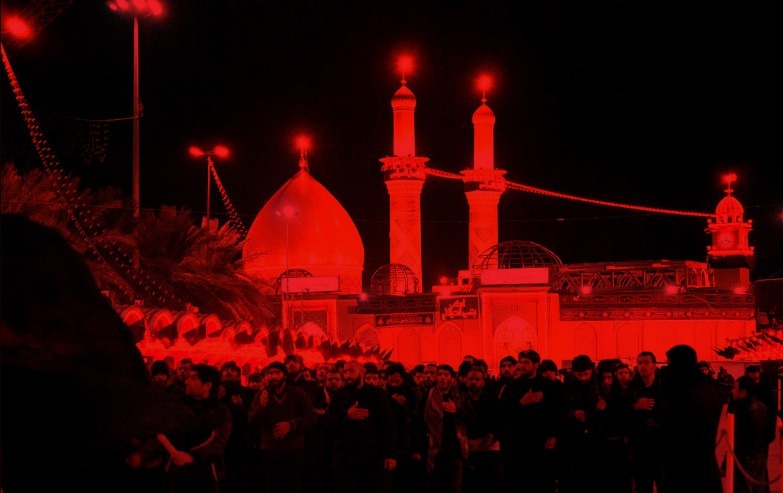 Short-term impact of Karbala can be examined from the points of view of the parties to the conflict – the surviving victims of the tragedy, the family of Imam Husain, and the perpetrator of that tragedy, Yazid himself. The points of view would be based on their observed behavior since that is a manifestation of the inner thoughts and feelings of the players involved. Imam Hussain brought his family with him to Karbala because he wanted to make absolutely certain that his death wouldn’t be in vain. The principal advocates of his message, after his martyrdom, were Imam Zainul Abidin (a) and Sayyida Zainab (a). After the women and children were taken prisoners, their first major stop was Kufa where they were brought in the presence of the governor, Ibn Ziad. Sayyida Zainab gave her very first khutba in his court. Since this was the capital of the Muslim Empire when Imam Ali was its ruler not long ago, the Kufans still had some affinity with the family of the Prophet. Consequently, Sayyida Zainab’s khutba made such a powerful impression on them that the governor had to hurriedly dispatch the prisoners away. Fearing that they might similarly arouse the public’s sympathy en route to their next destination of Damascus, the captors took them via a circuitous route away from major settlements. As a result of this exchange, Yazid suffered such a fatal blow to his image and credibility that he sought to repair the damage by trying his luck with the outwardly frail Imam Zainul Abidin. The Imam was summoned to the Mosque of Damascus to hear the juma sermon by a preacher who had been instructed to demean Imam Ali and his descendants. When he finished his sermon, the Imam first rebuked him for having offended his creator and, then, with the backing of the congregants, secured the opportunity to speak. Yazid, sensing a repeat of his devastating experience in his court, tried to shrewdly cut off the Imam by signaling the muezzin to call the noon prayers. The Imam did, indeed, temporarily pose but, on the mention of “Ash-hado anna Muhammadar-Rasuloolah,” he turned to Yazid and pointedly asked him if “Muhammad was your grandfather or mine.” Yazid was dumbfounded. With his failed attempts to mislead the Muslims, awareness gradually grew of the injustice that had been meted out to the family of the Prophet and an embryonic “movement” began to take shape that tacitly brought pressure on Yazid to release the prisoners. This movement gained momentum when the family returned to Medina and an uprising against Yazid occurred when the circumstances surrounding the martyrdom of Imam Hussain became known. During the interim, Yazid went through a series of reactions – three “Rs” – that a person who commits a crime typically experiences when he/she later realizes that they had made a huge mistake. The first such reaction is one of regret, to feel sorry for having committed the crime and to doubt the original motivation for that act. Yazid is reported to have spent many sleepless nights and, since the prison where Imam’s family was held was in close proximity to his palace in Damascus, he was haunted by the wailing crises of women and children during the dead of nights. 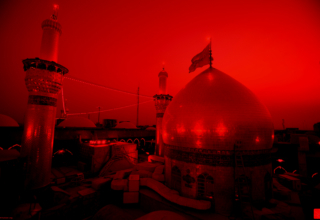 He wondered aloud about the stupidity of his action against such a noble man as Imam Hussain who had done him no wrong. When the culprit comes round to accept his mistake, then he/she seeks to make recompense for the crime to the family of the victims. When he was forced to release the prisoners, Yazid likewise offered to pay monetary compensation to Imam Zainul Abidin as the blood money. The Imam, however, turned down the offer and merely asked for whatever possession his forces had looted on the eve following the martyrdom. The third reaction immediately follows the second and that is of resolution, not to repeat the mistake that he/she had initially made. Yazid had brought on the crises when he demanded an oath of allegiance from Imam Husain and coupled it with the threat of “or else.” Yazid didn’t ask Imam Zainul Abidin, the next in the line of Imammate, for a similar oath of allegiance. When Mecca rose up in rebellion soon after and Yazid sent his soldiers to brutally put it down, the surviving residents were forced to pay homage to him but Imam Zainul Abidin was singularly exempted from that demand. In not making that mistake twice, Yazid avowedly admitted his defeat. 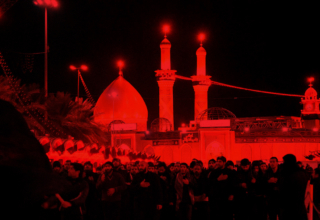 Long-term impact of Karbala can, similarly, be analyzed from two perspectives – parochially from that of the followers of Ahl al-Bayt (as), and globally from that of eminent scholars and respected leaders of the society at large. The perspectives would be based on the identification with the cause of Ahl al-Bayt, or with the values that Imam Husain, as its champion, espoused. One of the demands that Sayyida Zainab made when they were released from captivity was for access to a facility where the family could gather the ladies of Damascus and recount the tragedy of Karbala. Thus began the institution of majalis (Urdu) or rawzeh khwani (Persian). It was nurtured by the Aimma (as) and, after the Twelfth Imam (a) went into occultation, the ulema and, sometime later, the political regimes that believed in Ah al-Bayt kept the institution alive. It continues today, in its variant cultural forms, throughout the world wherever followers of Ahl al-Bayt live. This institution is unique to this sect of Muslims. Other sects have their sermon during the juma prayer and an occasional lecture to commemorate a special event. It is only the Shias who gather together for majalis scores of times during the course of a year and, as an integral part of the event, remember Imam Husain and his band of martyrs. However, the Shias also use this opportunity to educate themselves not only about historical events during the early period of Islamic history, but also about the teachings of the Qur’an and the tenants of Islam. They are arguably, therefore, the most informed of all the Muslim sects about their religion. There has thus developed a special bond between the Shia community and the Ahl al-Bayt. The bond is sustained by rational factors – those associated with “the head” – deriving from the special status of the Prophet Muhammad’s (s) family as well as by emotional factors – those linked to “the heart” – arising from the cruelty and injustice that had been inflicted on his descendants by the secular leaders of the Muslim Empire. The “glue” that binds the head and the heart is the medium, the majalis, which interweave both sets of considerations to bring about a higher level of consciousness among their followers. This leads to a degree of commitment that, even against heavy odds, ensures the perpetuation of the pristine religion as taught by the Prophet and safeguarded by the Imams. Among most scholars — Muslims and non-Muslims — and leaders — religious and political — there is a manifest bias in their treatment of Islamic history in favor of the majority Sunni orthodoxy. And, even though some Sunni historians have dismissed Karbala as “an historical event” and characterized Imam Husain as “an adventurist,” a wide spectrum of these scholars and leaders have commented on the tragedy of Karbala; a sample of their comments will be weaved into a coherent narrative below. 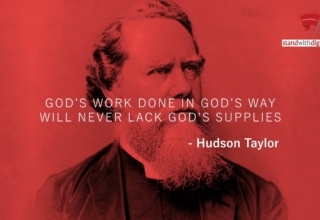 Collectively, they make two profound overall observations. First is the steadfastness of Imam Husain and his companions: “no one faltered for a moment and bravely faced the greatest odds without flinching” (K. Sheldrake). Second is the enormity of their sacrifice: “in a distant age and climate, the tragic scene of the death of Husain will awaken the sympathy of the coldest reader” (English historian, Edward Gibbon). These observations lead them to two fundamental conclusions. Imam Husain and his companions had absolute faith in Allah (swt): “they were the rigid believers of God” (Scottish historian, Thomas Carlyle). Imam could not have taken such a stand had it not been for a lofty cause: “he sacrificed purely for Islam” (English novelist, Charles Dickens). Thus, he not only “awakened the sleeping Muslim nation” (Indian Muslim poet, Muhammad Iqbal) but also became “the conscience of all religions” (Syrian Christian writer, Antoine Bara). Beyond these general statements, these scholars and leaders maintain that “no battle in the modern and past history of mankind has … provided more lessons than the martyrdom of Husain” (Antoine Bara). The specific lessons include: “water[ing] the dry garden of freedom” (Muhammad Iqbal), “”keep[ing] alive justice and truth” (Bengali poet, Rabindranath Tagore), setting an “example of the path of righteousness” (1st Indian Prime Minister, Jawaharlal Nehru) and, above all, by refusing to pledge to Yazid, declaring, “there is no Deity except Allah” (Sufi saint, Khwaja Moinuddin Chisti). A standard litmus test of who was victorious in war is to determine which protagonist’s memory has stood the test of time. 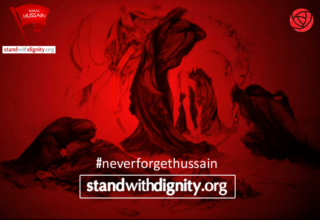 Centuries after the event, Imam Hussain is still remembered and universally extolled for his courageous stand, while Yazid is forgotten and unanimously condemned for his vile actions. A more rigorous test is to assess, as has been attempted in this article, who acted triumphant in the short-run and whose principles and values have prevailed in the long-run. On all these counts, Imam Husain would surely have to be declared victorious at Karbala. 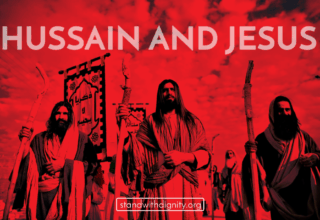 This deduction has been institutionalized in the “isms” that have entered the vocabulary of Karbala – the triumph of Hussainism over Yazidism, words that have come to denote the victory of truth over falsehood, and of justice over oppression.